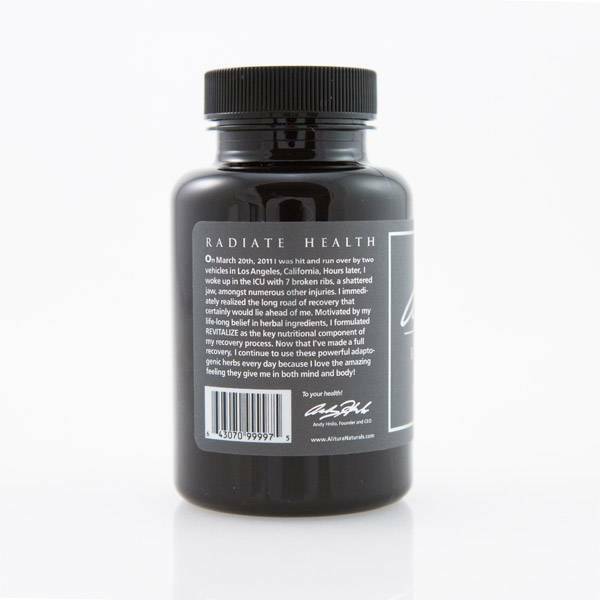 Adaptogenic Herbal Supplement by Andy Nhilo. 60 capsules. In herbology, it says that adaptogens are herbs or natural substances that help to keep the human body in balance, for example when the harmony in the body is being disturbed by stress. Organic Schizandra: Has been regarded as one of the most elite herbs in the Chinese system for thousands of years. The applications of this herb are so diverse that it is regarded by many as the ultimate herb. 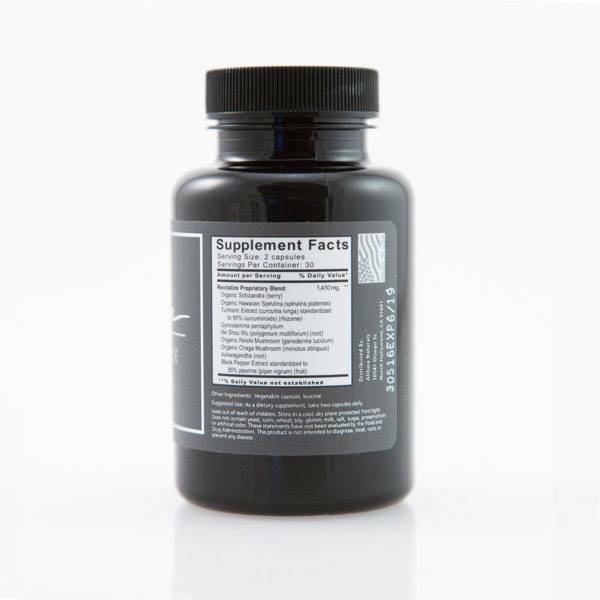 Organic Hawaiian Spirulina: is one of the most nutrient-dense foods in the world and also the highest natural plant source of protein, comprised of 65% amino acids. Turmeric Extract (standardized to 95% curcuminoids): is one of the most famous herbs in the Ayurvedic (Indian) herbal system. 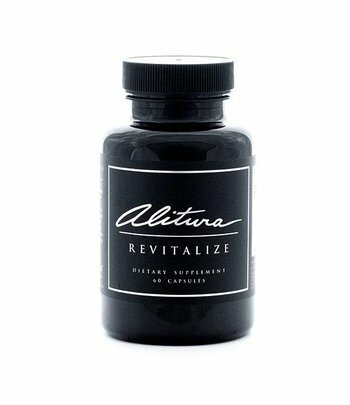 It’s important to note that turmeric extracts are not well absorbed unless taken with Black Pepper Extract, which of course is included in the Revitalize formula. Gynostemma: is a green leafy plant that has been traditionally consumed in Southern China as a herbal infusion prepared similarly to tea. He Shou Wu: a herb widely used in Asian medicine. 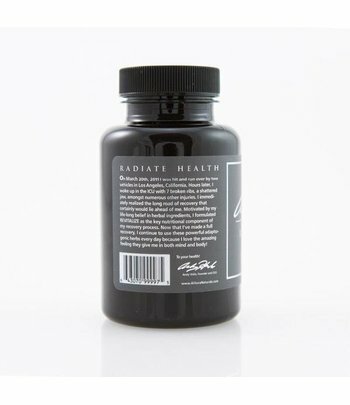 Organic Reishi Mushroom: has been one of the most sought-after herbs in Asia for thousands of years. 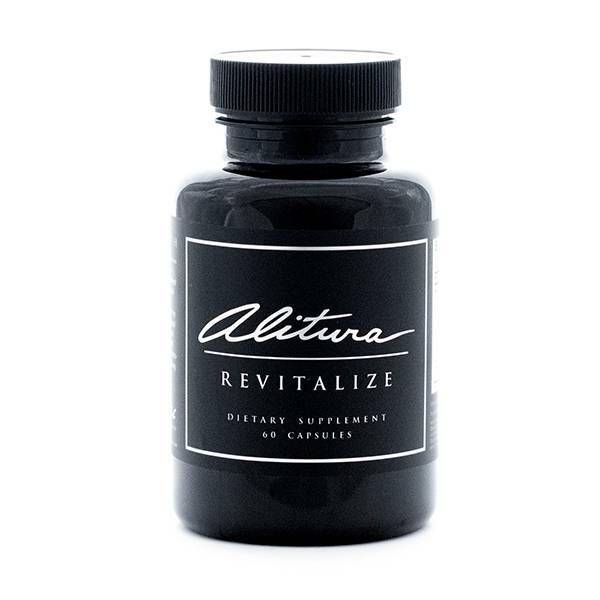 Ashwagandha: has traditionally been used in the Ayurvedic system and has gained modern fame as one of the greatest adaptogens with high levels of withanolides, earning it the nickname “Indian Ginseng.” In Revitalize, we use only the root extract for its specific properties. Revitalize is a dietary supplement in the herbal preparation category. 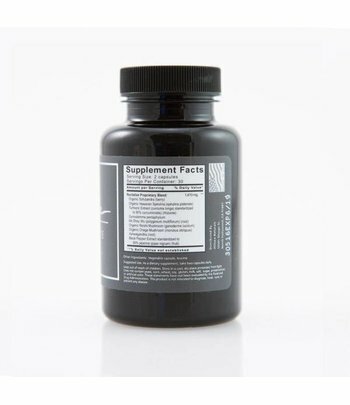 Other ingredients: vegetable capsule, leucine. Does not contain yeast, corn, wheat, soy, gluten, milk, salt, sugar, preservatives or artificial colour. Curcumin/turmeric affects the effectiveness of the drug Tamoxifen.